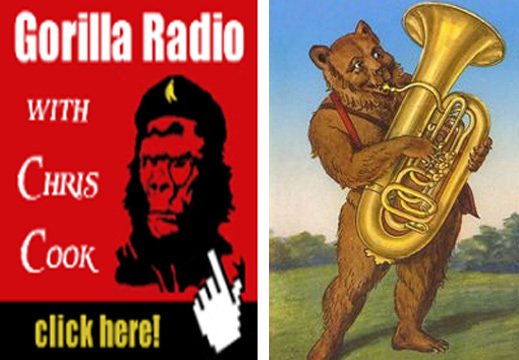 Gorilla Radio is broadcast weekly by Chris Cook on CFUV 101.9 FM from the University of Victoria, British Columbia. The radio station can be heard here. The Gorilla Radio transcripts are also published by the Pacific Free Press. For Chris Cook’s broadcast archive, click to open.